1. 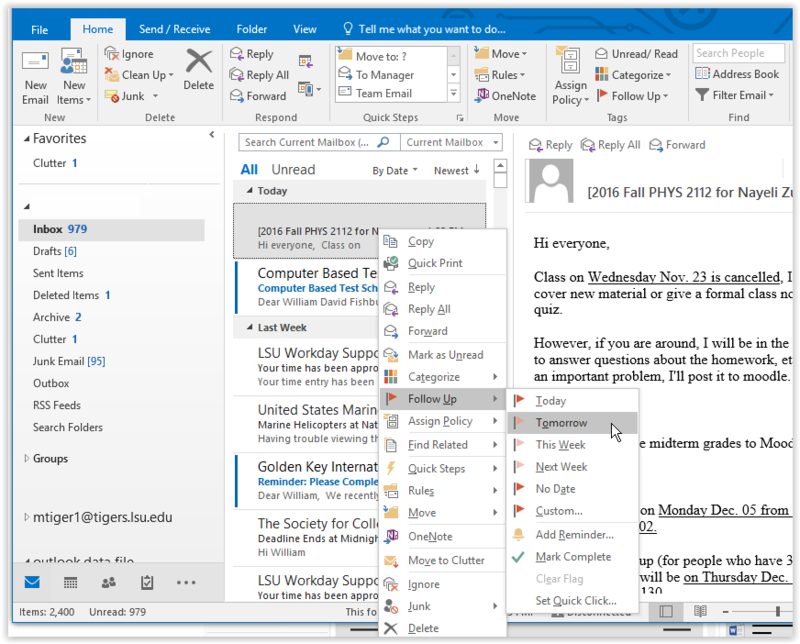 Open the Outlook 2016 app. 2. 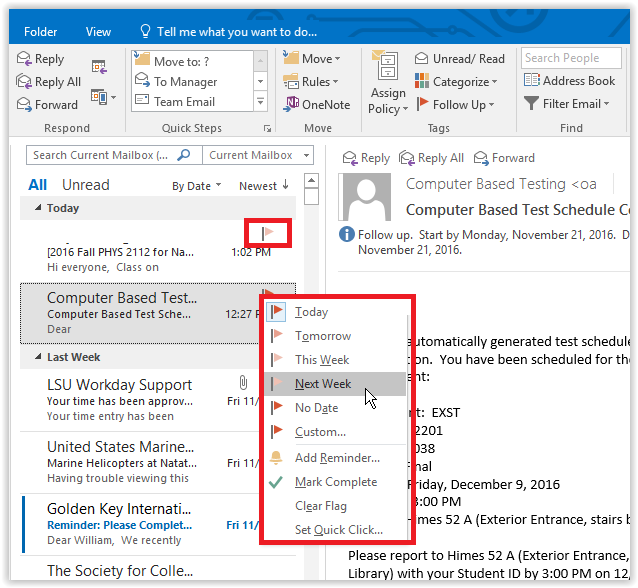 To add a follow up flag to an email in outlook, right click on the email you want to use. Click Follow Up, then click on one of the preset follow up flag options. If you don't see one that you like, click Custom to create a new one. 3. 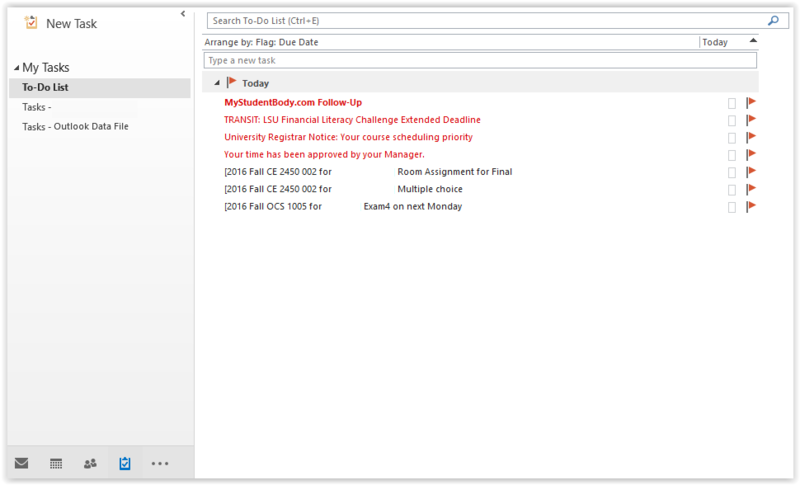 An additional way to add a follow up flag to an email is to right click on the flag icon next to the email you are using and select which flag you want to use. 4. To remove a flag on an email, simply click the same flag button that you used in the previous step. 5. All of your flags can be seen by clicking the Tasks button. 6. A list of your flagged emails will appear. Click on one to open.